Five teams that made the playoffs in 2012 had a quick exit from last season’s postseason. Cincinnati, Denver, Indianapolis, Minnesota and Washington each played only one game in the playoffs last season because they lost their first playoff game… a “one and out” experience. For the Bengals, it was the second consecutive season they lost their first playoff game. Here’s a look at the teams/franchises that have had the most “one and out” in the NFL playoffs during the Super Bowl era (since 1966). Did you know? Three NFL franchises experienced three straight “One & Out” postseasons. Detroit went one and out in the playoffs in 1993, 1994 and 1995; the Baltimore Colts went one and out in 1975, 1976 and 1977; and Philadelphia went one and out in 1988, 1989 and 1990. The Indianapolis Colts have the most “one and out” appearances in the NFL playoffs since 2000. The Colts have been one and out seven times since 2000. The Cincinnati Bengals, Green Bay Packers, New York Giants and Tampa Bay Bucs have each been one and out four times since 2000. Down 24 points at half at home: Patriots win! I’ll be the first to admit that I went to bed after watching the Denver Broncos take a 24-0 into the locker room at halftime in their November 24, 2013 game against the New England Patriots. Imagine my surprise (and that of others who also turned off the game after the first two quarters) when I opened the newspaper the next day to read about New England‘s overtime win over Denver. The Patriots not only found themselves in a heap of trouble after the first half, but what also didn’t help was that it was a home game. When they won the game, it was only the seventh time in NFL history that a home team won a game after being behind by 20 points or more at half. It was also the second greatest deficit overcome at halftime by a home team in league history. In addition, this was not the first time that a New England team had overcome a 20-point deficit at home at half and gone on to win the game (more on that in a moment). The Patriots-Denver contest was the fourth this season where a home team was behind by 20 points or more at half. Prior to the Patriots comeback, the Jaguars, Colts and Falcons could not erase their large halftime deficits at home and eventually lost those games. The last time a home team won a game after being behind by 20-plus points at half was on November 26, 2006 when the home team Tennessee Titans were behind 21-0 to the New York Giants after two quarters of play. The Titans scored 24 unanswered points in the second half to win that game. Here’s a look at the seven home teams that were behind by 20 or more points at half and went on to win that contest. Prior to the game against the Broncos on November 24, the Patriots had not been behind by 20 points or more at home at halftime since 1999. The Steelers now have the longest gap between such games; they have not been behind by 20-plus points at halftime in a home game since 2000. Following is the last year each NFL team played a game where they were behind at halftime by 20-plus points at home. When former University of Wisconsin quarterback Scott Tolzien started at QB for the Packers last Sunday against the New York Giants, he became the 25th different QB to make his debut as starting QB for the Packers since 1960. Tolzien was only the fifth QB to make his debut as the Pack’s starting signal-caller since 1992 (Seneca Wallace, Aaron Rodgers, Matt Flynn and Brett Favre). From 1960 to 1991, 20 different QBs made their debut as the starting QB for the Packers. This was the first year since 1990 that two or more players made their debut as a starting QB for the Packers. In 1990, Anthony Dilweg and Blair Kiel both made their first starts at QB for Green Bay. Here’s a look at six stats from Tolzien’s debut and how it matches up against the other 24 starters. 1. Since 1960, when the Pack has started a new QB, the team has won 12, lost 12 and tied one. Tolzien and Wallace both lost their starts this season; Rodgers won his first Packers start in 2008, making his the last Packers QB to make his debut as a starter in a winning contest. The starting QBs who won their Packers debut: Rodgers (2008), Favre (1992), Dilweg (1990), Alan Risher (1987), Randy Wright (1984), Randy Johnson (1976), John Hadl (1974), Jerry Tagge (1973), Scott Hunter (1971), Don Horn (1969), Zeke Bratkowski (1964), John Roach (1963). Those players who lost their first start as the Packers’ QB: Tolzien (2013), Wallace (2013), Matt Flynn (2010), Mike Tomczak (1991), Kiel (1990), Jim Zorn (1985), David Whitehurst (1977), Lynn Dickey (1976), Carlos Brown (1976), Don Milan (1975), Jack Concannon (1974), Jim Del Gaizo (1973). Don Majkowski started his first Packers game in 1987; that game ended in a tie. 2. Tolzien’s 24 completions against the Giants is tied for the most completions by a Packers QB making his starting debut. Flynn had 24 completions in his first start in 2010 against New England. The most pass attempts by a player making his debut as Packers starting QB was Tomczak in 1991 when he threw 40 passes in his first starting assignment for the Pack. 3. Tolzien became the fourth QB to have a completion rate over 70% in his Packers starting debut. The others were Wallace (100%… he was 5-for-5 before he was injured in his first start for the Packers), Rodgers (81.8%; he was 18-for-22 in his debut as a starter) and Favre (he completed 73.7% of his passes in his first start for Green Bay). 4. Tolzien became the first QB for the Packers to throw for over 300 passing yards in his first start for the team. He had 339 yards passing in his starting debut against the Giants. Tomczak with 271 yards and Flynn with 251 yards are the only other Packers QBs to have over 250 yards passing in their first start with the team. 5. Tolzien became the fourth Packers QB to throw three interceptions in his starting debut. The others: Whitehurst, Brown and Horn. Flynn and Dilweg are the only Packers QBs to have three TD passes in their debut as a starting QB with the Pack. 6. 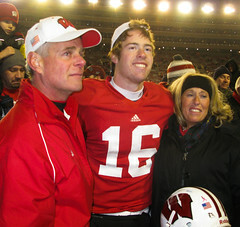 Tolzien had a Passer Rating of 65.7 in his starting debut. Only four Packers QBs had a Passer Rating over 100 in their first start at QB for the team: Favre (144.6), Dilweg (117.7), Rodgers (115.5) and Flynn (100.2). Three QBs had a Passer Rating under 20 in their starting debut for the Packers: Hunter (11.9), Brown (12.8) and Horn (18.5). With a two-game losing streak, losing their star quarterback for four to six weeks, and a post-season appearance very much in question, the Green Bay Packers badly need a win this weekend against the New York Giants. A road win would not only put them back in the playoff picture, but it would also help them avoid something that hasn’t happened to the team since 2008… a three-game losing streak. 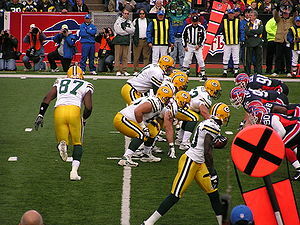 The Packers in 2008 had both a three-game and five-game losing streak that season. Since then, the longest losing streak has been two games. The last time they had a two-game losing streak was in 2010. 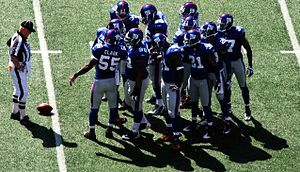 They lost consecutive games in mid-December before defeating the New York Giants 45-17 to avert the third straight loss. Can they perform the same magic this year with the Giants next on the schedule? Let’s get to the Patriots. After a loss to Arizona in Week 2 and a defeat at the hands of the Baltimore Ravens in Week 3 last season, the Patriots went into their game September 30 at Buffalo hoping to avoid a 1-3 start. But there was another reason the Pats needed a win over their division rivals: They were looking to avoid a three-game losing streak, something that had not happened to the franchise since 2002. Fortunately for the Pats, they came out of Buffalo with a 52-28 win and avoided a three-game losing streak for yet another year. The last time New England lost three consecutive games in a season was 2002 when they lost four straight games to San Diego, Miami, Green Bay and Denver. They then defeated Buffalo on November 3, 2002 to end the streak. Since then, they have lost two straight on five occasions, but have not lost a third straight since October, 2002. Following is a look at the last season each of the 32 NFL teams lost three consecutive games.